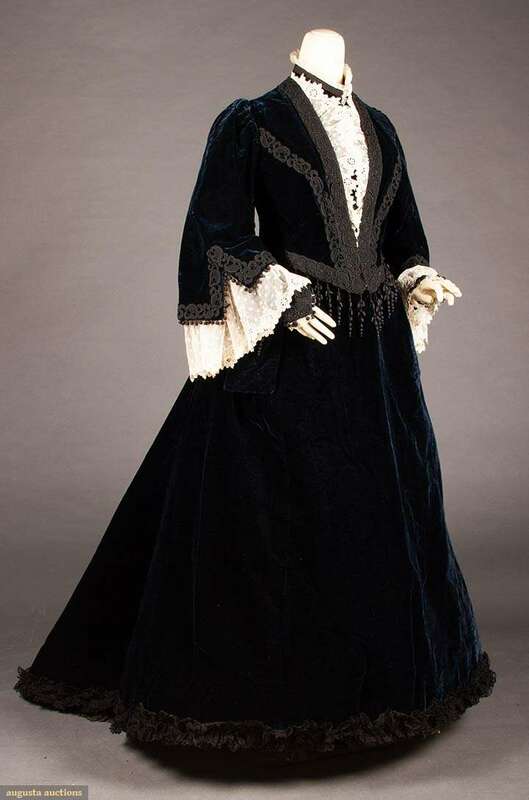 2-piece midnight blue velvet, wide bell sleeves, embroidered black trim & ball fringe, white lace CF plastron & undersleeves, B 38", W 32", Skirt L 41"-50", (stain at CF lace, missing few balls on tassels) very good-excellent. Emily Johnston, 1851-1942, m. Robert W de Forest, 1848-1931, both from prominent NYC families. This dress likely belonged to Emily J de Forest..